Many folks in the Triangle / RTP area already know that Big Mike’s BBQ is some of the best to be found anywhere in North Carolina. 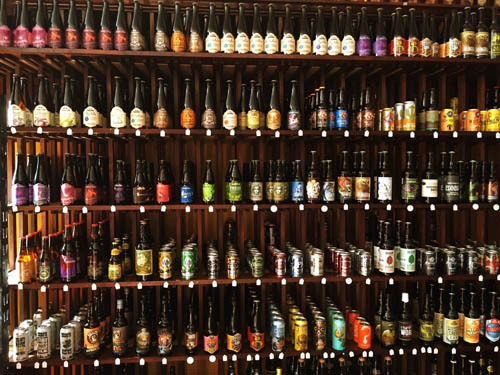 That same great food is combined with a bottle shop featuring local craft beer at two Brew N Que locations: 1222 NW Maynard Road in Cary NC and 2045 Creekside Landing Dr. in Apex NC. 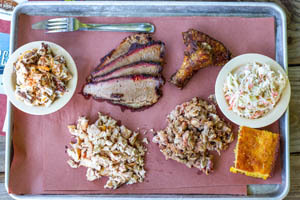 The Triangle’s most unique barbecue and local beer hangout is open every Monday – Saturday, and also Sunday in Apex. 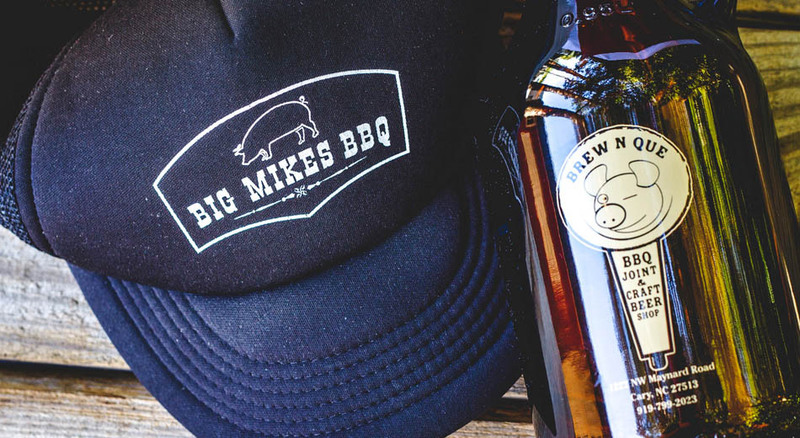 Because what could be better than BBQ and beer? Come and see us from RTP, Cary, Apex, Morrisville, Raleigh, Durham, and all over the Triangle for a casual bar atmosphere with some great local and crafty beers on tap to compliment locally sourced, farm to table BBQ and a variety of homemade sides. Great Harvest Bread Co. is our next door neighbor, so expect some delicious daily sandwich specials on their bread. 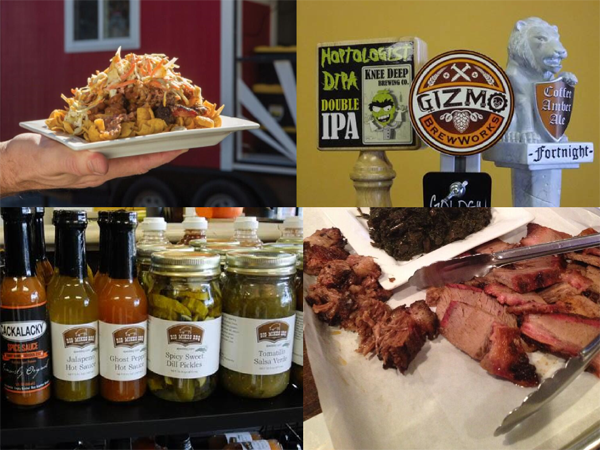 At the same time, you can get your growlers filled and get some local pasture raised meats to take home. We also carry many southern and local inspired sauces, rubs, and seasonings. Come and see us for an awesome lunch or dinner and wash it down with your favorite craft beer in the bottle or on tap! 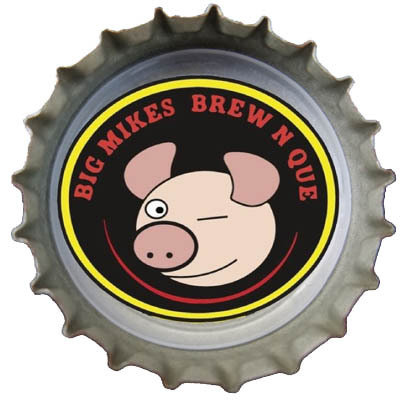 Big Mikes BBQ is on the menu at Brew N Que. 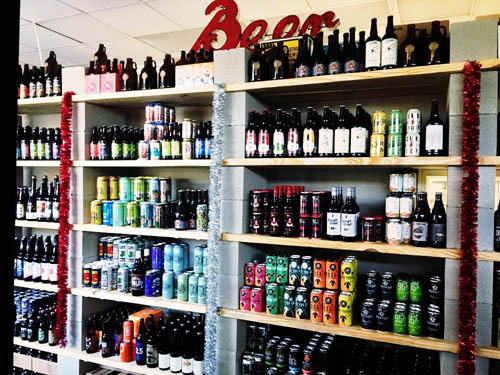 All the good stuff from Big Mikes Truck, combined with a local craft beer shop, results in a welcoming laid back atmosphere you don’t want to miss out on. 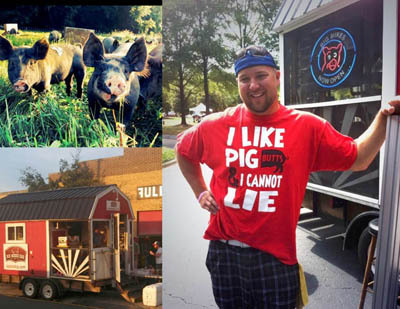 Whether you love pork, chicken, or brisket – we’ve perfected them all! 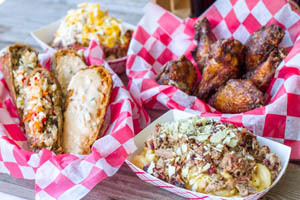 With a variety of home made sides, from classic staples such as baked beans and cornbread to our more unique smoked potato salad- we like to put a little twist to the southern BBQ style. 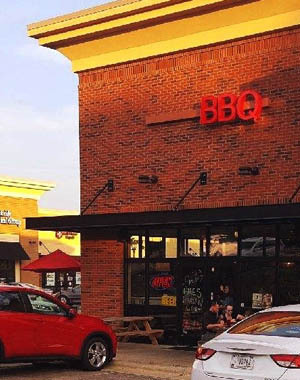 We are now selling Traeger Smokers and barbecue supplies at the Brew N Que restaurant in Cary NC. 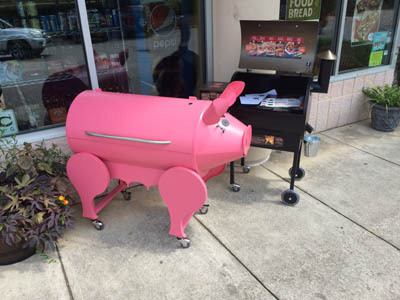 We want to spread the art of great BBQ all around the Triangle / RTP area and get folks interested in smoking their own meat. Come and join us for lunch or dinner and see some of the best smokers and BBQ supplies available! 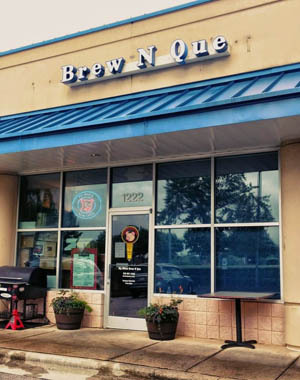 You can also buy from us online HERE for convenient pick up right at Brew N Cue.